Threads: Metric / PG / Imperial. - Brass Connectors and adaptors male and female Metric and PG for flexible electrical conduits and accessories. 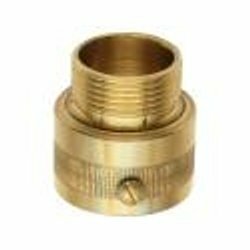 Backed ourselves with modern machines and quality assured array, we are offering quality high array of Brass Male and Female Bush. These are available in different sizes and shapes for our customers to pick from. The entire array is rigorously quality checked to ensure product conformity with industry laid standards and norms. Finish: Brass adaptors can also be plated with nickel. 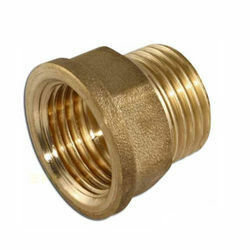 the best quality brass pipe fittings parts.